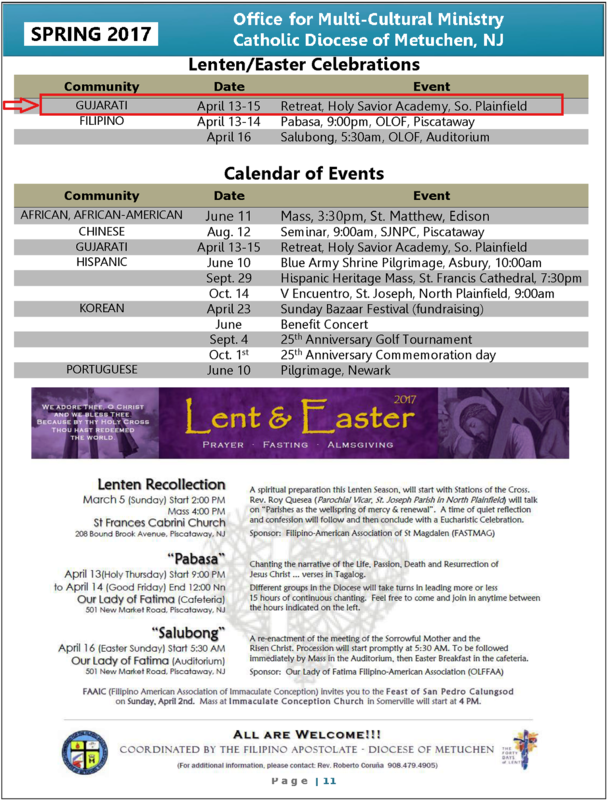 “Spring 2017” issue published by The Office for Multicultural Ministry, Diocese of Metuchen, NJ. Please click here to read the “Spring 2017” issue published by The Office for Multicultural Ministry, Diocese of Metuchen, NJ. Previous PostNAVKRANTI ISSUE 13-14 – 2017 – નવક્રાન્તિ અંક ૧૩-૧૪ – ૨૦૧૭Next PostGujarat Christian Federation of America, Inc. has selected a new committee.